Nervous system artwork. The brain (top centre) and the spinal cord (white, down centre) comprise the central nervous system (CNS). The spine (red) is seen around the spinal cord. Spinal nerves extend from the spinal cord to every part of the body. 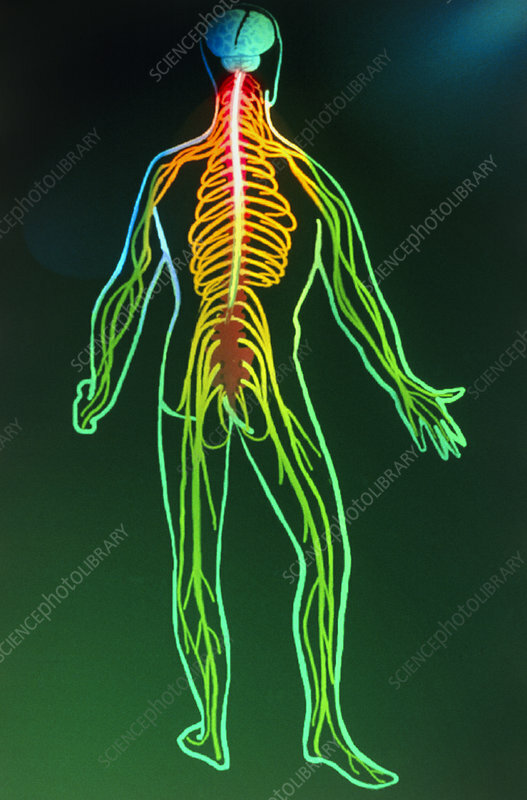 These nerves collect information from the body from where it is relayed back to the CNS for processing.